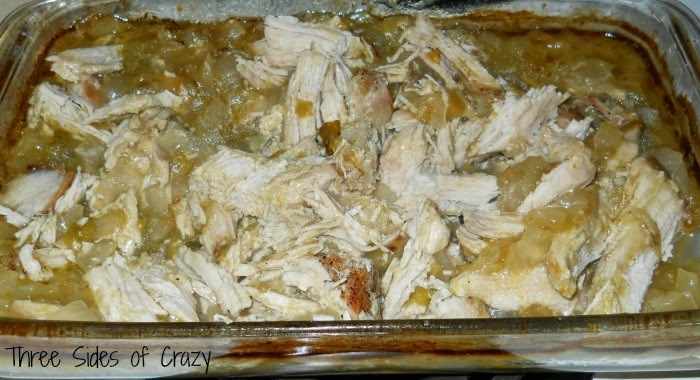 The recipe I was given years ago lacked in flavor so I modified it and we’re extremely happy with the outcome. I’ve been making them this way for years. Originally the roasting was done on a rack with water underneath and just a simple salt and pepper. 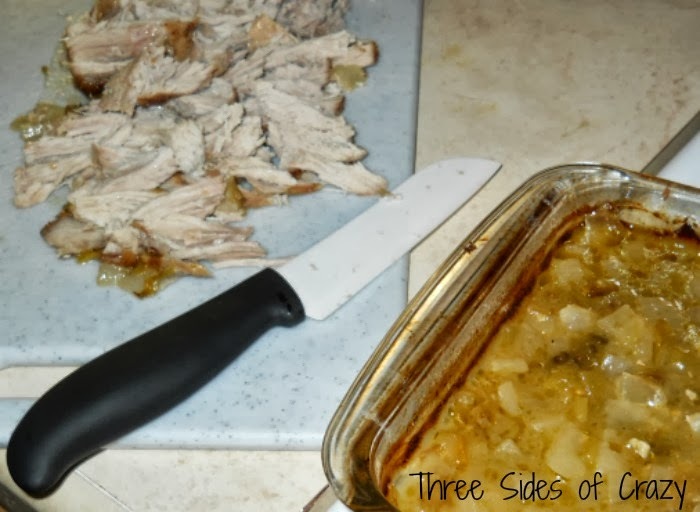 Now I use a large onion diced as my natural rack to protect the pork. The onions bake together and become an essential flavor to the dish. 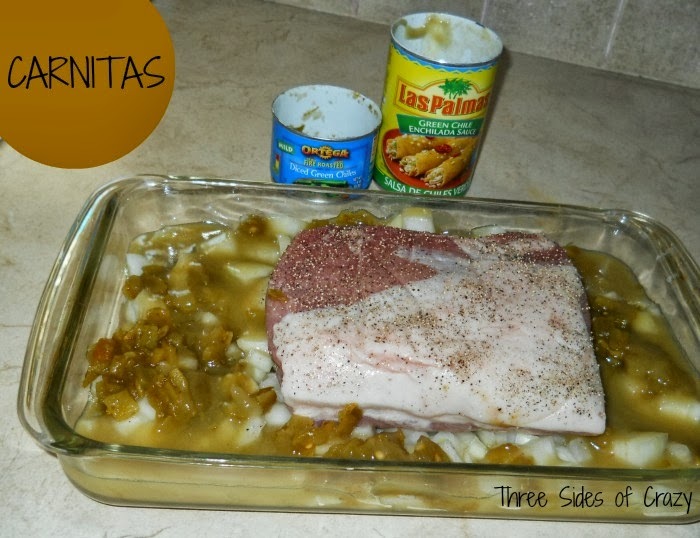 I place the pork roast on top of the onion pieces and surround it with a can of diced green chiles and 4-5 cloves of minced garlic. 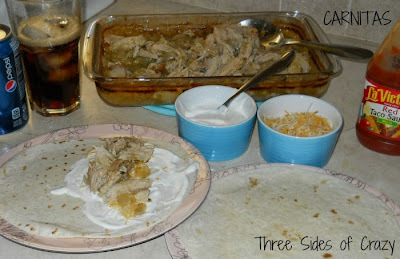 Then I pour a can of salsa verde enchilada sauce** on top of the green chiles and onions. 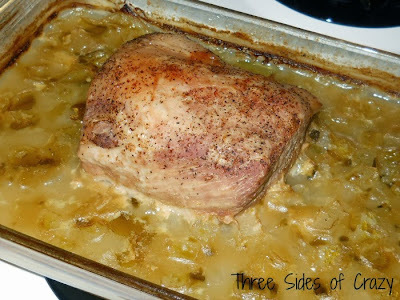 Cover it with foil and bake for 2 hours at 350°. Then uncover it and bake another hour or until fork tender. Remove the roast to a cutting board and shred it into bite sized pieces. Add the pork pieces back into the onion mixture and coat well. Serve with your favorite salsa, grated cheese and sour cream. Enjoy! Grill jalapenos until lightly charred. Halve the tomatillos and simmer until soft. Allow to cool and drain off water. Blend the peppers, tomatillos, garlic and salt until smooth.